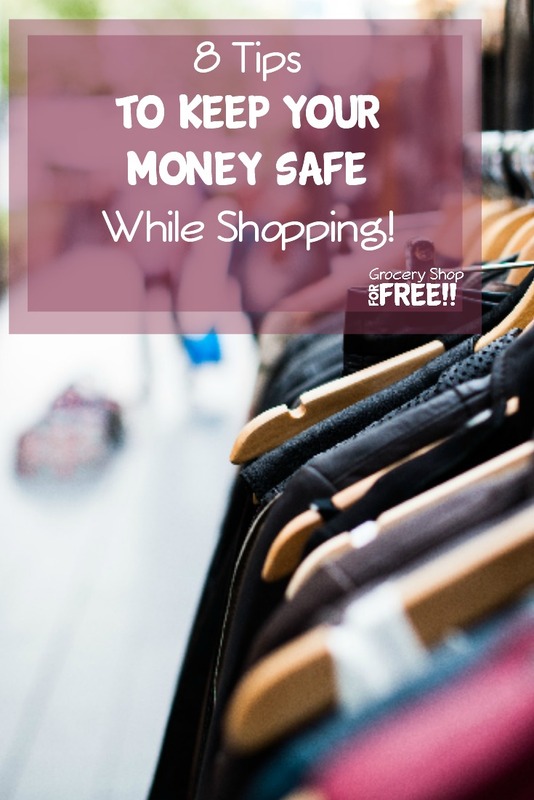 You are here: Home / Finance / Saving Money / 8 Tips To Keep Your Money Safe When You Shop! Shopping online has become much more popular recently. It is just so convenient. I know for me, I am sitting at my desk working and I think of something I want or need and I immediately look it up online and sometimes go right ahead and purchase it then. I think that we are so into instant gratification, I know I am, I love the companies who deliver to my home in the same day! Last year our baby granddaughter was sick and we needed to take her temperature and we didn’t have a thermometer. I looked up on my phone and found one, bought it, and it was delivered in 2 hours! For a while shopping online didn’t really take off because so many people were afraid to give out info and card numbers online. Afraid their identity or credit card info would be stolen. That has turned out to be a valid concern as many people have had that happen. The police suggested I “follow my card”, so when we eat out – I don’t hand the card to my server, I go with them and watch them slide it. The Police told me that a server may drop your card right at your table and they have a card reader strapped at their ankle hidden by their pants leg and they will slide your card when they “pick it up”. Consumers are expected to do so much of their shopping online this year that delivery companies like UPS and FedEx are projecting increases of deliveries of at least 10 percent and will hire record numbers of seasonal employees. Some apartment complexes expect to be so overwhelmed by deliveries they have informed residents that they will no longer be accepting packages at the office and boxes will be left at apartment doors. While online shopping can be incredibly convenient instead of running to multiple stores searching for gifts, and it gives consumers the opportunity to cash in on exclusive savings, hackers are also planning for the influx of online orders. Go Digital. Using a digital wallet in stores can protect you from having your credit card information stolen via a skimmer or other device. Use Pre-Paid Cards. Online bargains can be hard to pass up during the holiday season as many sites offer deep discounts and free shipping. Avoiding driving in unfavorable weather and long lines at the registers also equal holiday joy, but only if precautions are taken to help prevent that joy from turning to regret when the bill arrives. Using pre-paid credit cards that are not linked to your bank account or credit history can stop thieves from accessing and using your financial information if the site you shop on ends up being hacked. Avoid Links. If a smoking deal for a television, smartphone or other must-have item arrives in your inbox, do not click on it (unless it’s my FREE daily email newsletter – it is safe 🙂 ). Instead, open your web browser and type in the direct URL for that store. Or, call a nearby location to verify the offer is real and not a spoof a criminal made to look like a real offer. Create unique usernames. Just like it is a bad idea to use the same password for all your online accounts, using the same username can also be a big mistake, especially if you use that same log in for email and social media. To keep your online history private from criminals, create a unique username for each website on which you shop. For example, YourName+StoreName is a better username than your name plus a few numbers. Read the Privacy Statement. Or, just skip online shopping altogether. Simply scrolling through and accepting the terms and conditions of every website you shop on without reading the details could mean you are signing away your right to privacy. You could be agreeing for retailers to sell your information without realizing it. Additionally, if you use one email address you are making it easy for cyber criminals to hack into every online account you have ever created. From bank accounts to credit cards, social media and online shopping accounts – if your one email address is attached to every account you use online, hackers can track that address to find all of your accounts and attempt to access them. Rather than leaving a trail of breadcrumbs revealing to thieves all of your online activities, its time to start creating dozens of email addresses. Some email providers including Gmail, Outlook and Yahoo allow users to alter their email address into infinite number of disposable addresses. For example if your email address is GroceryShopForFREE@gmail.com and you want to sign up for a new deal website you can alter your email address just for that site by adding an identifier to it. 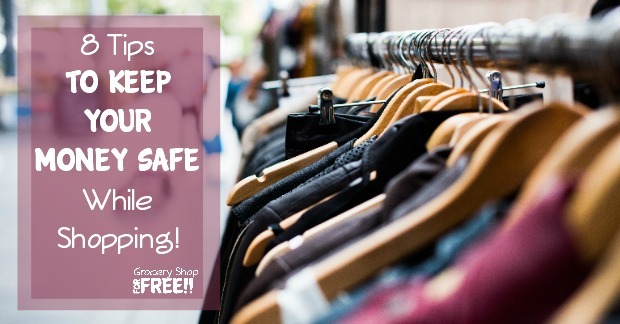 Your new email address for that site could be GroceryShopForFREE+FREE[email protected]. This keeps your actual email address private and can help stop criminals from being able to track your online history simply by searching for one of your email addresses. In addition to not using your unaltered email address as a username for online accounts, the following common mistakes should also be avoided. Including All or Part of Your Name – business professionals and students often use a variation of their full name as an email address, on social media and other online forums. While people might be able to easily search for and follow or friend you, you are also making it easier for criminals to do the same. Revealing Details About Your Location – whether it is the city you reside in now or where you were born including a meaningful location in your username is never a good idea. Not only is it one more tool criminals can use to narrow their search for your personal details, it is also a common password security question. Using Your Birthday or Other Meaningful Numbers – While a string of four to eight numbers might seem random a criminal will be able to use a birthday or street address to verify if the information they are accumulating is all for the same person.